Peter Linn came to Bishop | Barry as Of Counsel in 2007, bringing with him over a decade of extensive trial and litigation experience. 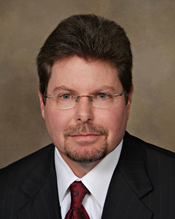 He practices in both State and Federal courts and has successfully defended individual and institutional clients in a wide variety of matters, including employment actions, products liability lawsuits, professional liability (including lawyers, real estate agents and insurance brokers) claims, complex construction defect cases, property disputes, mass tort claims, and insurance coverage disputes. He has tried numerous cases to verdict and has also personally handled over a dozen appeals, both in and out of California. In recent years, his practice has focused on representing and defending employers in complex labor and employment matters including wage and hour actions, wrongful termination claims, and claims involving sexual harassment. He has also represented employers in matters before the California Labor Commission, the U.S. Equal Employment Opportunity Commission and Cal-OSHA, and routinely advises companies on best-practices within the labor and employment area. He has received an AV© peer review rating from Martindale-Hubbell. Mr. Linn holds a Bachelor of Arts degree from the University of California at Los Angeles, and a J.D. from the University of San Francisco School of Law. He is an active member in the Contra Costa County Bar Association, the Northern California Association of Defense Counsel, the Defense Research Institute, and is a member of the Employment Section of the State Bar of California. Mr. Linn is admitted in the State of California, all Federal District Courts within California as well as the First and Ninth Circuit Courts of Appeal. Singh v. Live Oak Partners, et al. Richard v. Little River Headlands Association, et al. Sapra v. Bokhari, et al.